Looking to buy one of GoPro’s action cameras? We will guide you through all the GoPro models and what each of them does. The range of GoPro action cameras models has been expanding over the past few years, so you're faced with a tough choice when it comes to picking the right camera for your needs. There are plenty of accessories for all the models, thanks to that mounting system, but you need to make sure you have the right camera for the job. Read on, this list breaks down the features from model to model so you can figure out just which one is right for your needs. 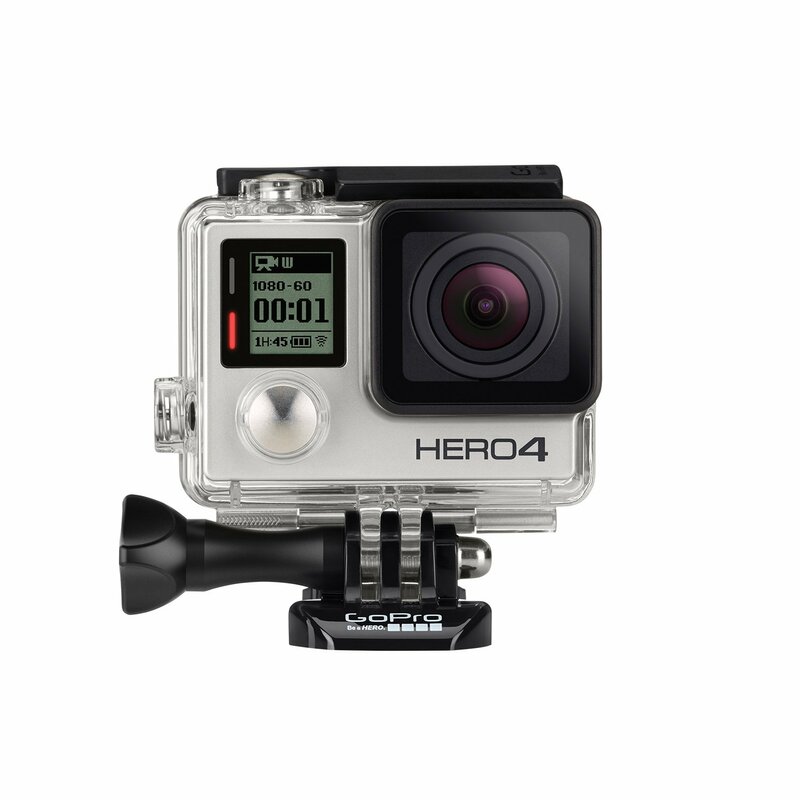 The Hero4 Black offers the best video quality available from a GoPro camera and the most expansive shooting options. While the Silver does record at 4K resolution, the Black actually does it at a usable frame rate for moving subjects, recording at 30fps. Moreover, it does 1080p at up to 120fps for full HD slow-motion videos or 720p at 240fps so you can slow down clips even more. To get that kind of performance, though, you sacrifice the touchscreen found on the Silver. Other features include: professional-grade low light performance, various burst rates, time lapse intervals, continuous photo rates, compatability with GoPro's Protune software and app, an auto low-light mode, night mode, and time lapse mode, and support for simultaneous video and photo shooting, looping video, and auto image rotation. It also supports high bitrate video (up to 60Mbps) and an external studio mic. You can also get it in Surf (includes mounts for your surfboard) and Music (includes mounts made for music) editions. 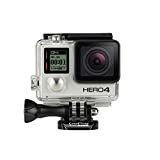 Recommended for: Go for this model if you want access to the additional recording resolutions and frame rates, the best video quality from a GoPro camera and greater control over the end results of your photos and movies. The Hero4 Silver has the right balance of features and performance. It records video at up to 4K at 15fps, a more useful 2.7K resolution at 30fps, and perhaps most importantly 1080p at 60fps and 720p at 120fps. With its top-notch image sensor and processor, the video is some of the best you'll find on a camera this size and stands up to being viewed on larger displays and TVs. It is physically identical to the pricier, top-of-the-line Hero4 Black with one very important exception: a built-in touchscreen. As with the Hero+ LCD, the touchscreen allows you to see what you're shooting before you press record, review your clips and photos and change settings without connecting to a second device or messing with the camera's buttons. Other features include: professional-grade low light performance, various burst rates, time lapse intervals, continuous photo rates, compatability with GoPro's Protune software and app, an auto low-light mode, night mode, and time lapse mode, and support for simultaneous video and photo shooting, looping video, and auto image rotation. It also supports high bitrate video (up to 45Mbps). It doesn't support an external studio mic. Recommend for: For those who want better video and a lot of shooting options, stop here. Basically, the Silver gives you almost all of the features of the higher-end Hero4 Black, but with a touchscreen and its $100 less. It's tough to beat. This is the latest GoPro so far. Is also the smallest and lightest GoPro ever produced. This camera looks completely different from the other GoPro models. It has a form of a 1.5″ cube! The mounting options for this action cam are very interesting: the square shape of the camera and the included mounting frame let you rotate the camera easily to use it in any position you want. That’s a plus when you compare it with the mounting options of the regular GoPros. The GoPro Session has only 2 buttons and no LCD panel, just a small display that let you see what settings you are using. To adjust the settings, pair the camera with your phone and tablet. The dynamic range, colors and video quality are not as good as the regular GoPros. If you are willing to sacrifice a little bit on image quality and the ability to shoot in 4K to have a smaller and lighter camera, the GoPro Session might be worth looking at. The Session is not as rugged neither, being waterproof only to 10m (compared to 40m for the Hero4 Silver and Black), and gives out just 2 hours of battery juice before giving up. The Session is completely designed to be used with the GoPro smartphone app or Smart Remote, which, whilst limiting where and when you can use the dinkier device, means you’ll almost always end up with decent framing and be able to have heaps of fun remote recording with your mates. Other features include: professional-grade low light performance, various burst rates, time lapse intervals, continuous photo rates, compatability with GoPro's Protune software and app, an auto low-light mode, and auto image rotation. It has a dual mic configuration and doesn't need a separate waterproof housing. The battery is built in and it doesn't support an external mic. It also supports high bitrate video (up to 25Mbps). You can also get it in a Surf edition, with a mount for your board. Why elect for the Session, then? Because if you’re all about sizing up shots on the go with an ultra-portable pro-performer it’s ideal. This model kicks off the Hero lineup's midrange (for people in between professionals and consumers). 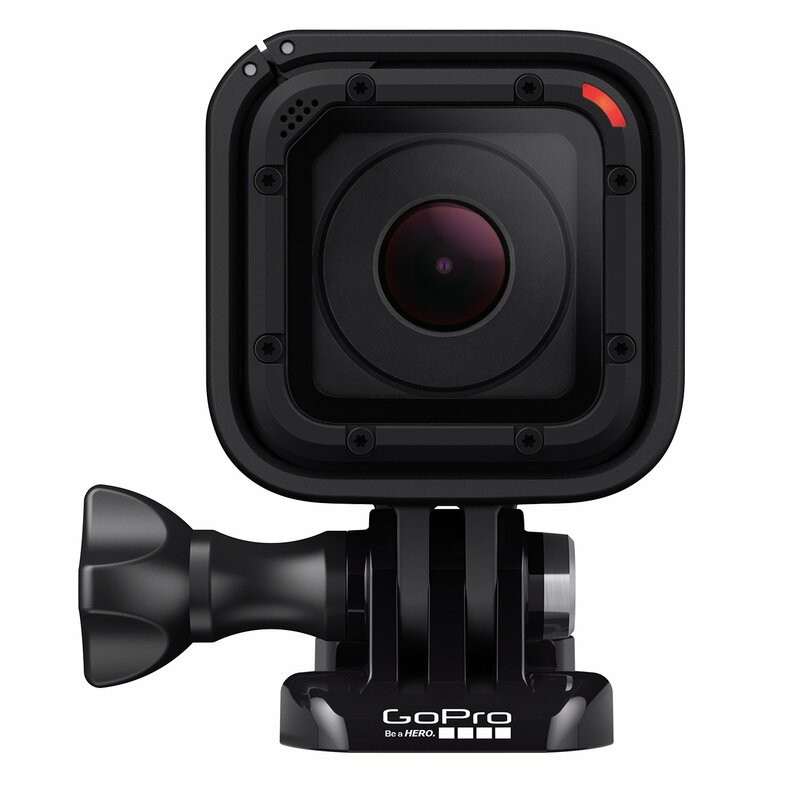 They are no longer directly available from GoPro, but are stocked in many locations. It supports up to 1080p (60fps) video, 10MP (10fps in burst) photos, and limited Superview. It also has an ultra wide, medium, or narrow field of view, built-in Wi-Fi, waterproofing up to 131 feet, microSD memory up to 64GB, and a 1160mAH battery. Other features include: prosumer-grade low light performance, various burst rates and time lapse intervals, compatability with GoPro's Protune and app, and supports high bitrate video (up to 25MB/s). It doesn't have a built-in touch display or Bluetooth. It also doesn't support support auto-low light, night mode, simultaneous video and photo, continuous photo rates, auto image rotation, or an external mic. Recommend for: If you are looking for a solid all-round adventure camera. The Hero+ doesn't cost much more than the base Hero, but it gets a healthy bump up in features. For starters it can capture video in full-HD resolution, at up to 60 frames per second. That makes moving subjects look smoother, or you can use it to playback at 30fps for a slight slow-motion effect. Photo resolution is better than the Hero's, too - 8 megapixels. If you want continuous-shooting options for time-lapse videos or just hands-free photo capture, you can set it to snap off a shot every 0.5, 1, 2, 5, 10, 30 and 60 seconds. The camera also gets GoPro's HiLight tagging feature, letting you flag a section for easier editing later, and loop recording that starts overwriting old clips once you're microSD card is full (handy if you want to use this as a dash cam). But perhaps the most important difference is the built-in Wi-Fi so you can directly connect wirelessly to your phone or tablet or GoPro's Smart Remote to remotely control the camera or transfer clips to do on-the-go uploads to sharing sites. More importantly, it lets you see what you're shooting. Video quality is noticeably better than the Hero, but it's still best suited for viewing at smaller sizes on mobile devices rather than blown up huge on a TV or monitor. Perhaps the biggest downsides here are that, like the Hero, the Hero+ is built into its case and has a non-removable battery. At least the housing keeps it waterproof to 131 feet (40 meters). Recommended for: With better video quality and more shooting options than the basic Hero and wireless built in for easier use and sharing, it's worth spending the extra money. The Hero+ LCD is the same camera as the Hero+ but, as the name implies, it has a touchscreen for preview and playback and changing settings and shooting modes. You can even use the built-in screen to trim clips right on the camera. You get all the same shooting options, maxing out at 1080p at 60fps for video and 8-megapixel stills. There's Wi-Fi if you want to pair the camera with a smartphone or tablet. And it, too, has a non-removable battery and is trapped in the same waterproof housing. The Hero+ LCD is an all-around better choice than the entry-level Hero in terms of features and video quality. Save for the display it is the same as the Hero+, though, so if you can live without that, save yourself the $100 and go with the Hero+. Recommended for: If you want a GoPro with good video quality, a no-fuss shooting experience and easier use thanks to a touchscreen and wireless, this is the way to go. The Hero is the basic model in the GoPro range as its price would lead you to believe. In terms of its video recording resolution, it tops out at 1080p, 30fps. The higher the frame rate, the smoother your video will look. If you drop down to 720p resolution you can get 60fps, however. As its maximum framerate is 60fps, regardless of resolution, the GoPro Hero won't be a good choice if you want to shoot slow-motion video as this requires much higher frame rates in order to slow the video down, while retaining a smooth look. In terms of field of view, you only have one option, which is Ultra Wide. If you want more options for FOV you'll need to look at the Hero4 range. The Hero shoots the lowest bitrate of all of GoPro's cameras at 15Mb/s. Simply put, a higher bitrate will capture more detail, especially in hectic scenes. For still images, you can capture 5-megapixel photos, which is the lowest of all of GoPro's current cameras. For shooting time lapse photos, you're limited to only 0.5 second intervals. The big omission from the Hero is there's no wireless connections. This means you can't pair it with the smartphone app to control and access your video and images for easy sharing. You'll have to use a computer to access your footage. There's also no LCD display. Two other potential issues: The battery is built in, so no swapping out for a fresh pack to keep recording, and the camera is permanently in its polycarbonate housing. The housing is tough and waterproof to 131 feet (40 meters), but if you damage the housing you're not easily swapping it for a new one and it definitely hurts audio quality. Recommended for: If you want a simple, inexpensive waterproof camera that says GoPro on it and your video-quality needs are just "good enough." So which GoPro is for me? Unfortunately, that's going to be a tricky one to answer. It all really depends what features you need. The Hero is arguably a little under-specified for most, so I would say it's worth stretching to the Hero+ LCD as the entry-level option. On the other end, unless you're looking for professional features (perhaps you run a YouTube channel or partake in extreme sports) the Hero4 Black might be overkill, especially keeping in mind not everyone will need 4K. The Silver model, which has fallen in price, will be able to serve the requirements of most people. The outlying Hero4 Session might not be ideal as your only camera, but for anyone looking for a second camera to supplement a Silver or Black will be well served. Especially as it's dropped in price so significantly since its initial release. Hopefully this has helped in choosing a suitable GoPro. Happy adventures!